New York, NY, May 18, 2017 – We are delighted to announce that The Hispanic Society of America was named the recipient of the 2017 Princess of Asturias Award for International Cooperation from a field of nineteen candidates. The prestigious award was established in Spain by the Prince of Asturias Foundation in 1981 to acknowledge individuals, entities, and organizations worldwide who have made significant contributions and helped to promote cultural and humanistic values that form part of the universal heritage of humanity and consolidate the existing links between the principality of Asturias and the title traditionally held by the heirs to the Crown of Spain. The eight award categories are: Arts, Literature, Social Sciences, Communications and Humanities, Scientific and Technical Research, International Cooperation, Sports, and Concord. the work of The Hispanic Society of America at a time when Hispanic culture, reflected in millions of people, is striving to maintain its presence and vigor throughout America as a whole, most especially with a view to the future.” The Foundation will present the Hispanic Society with the award along with a prize of 50,000 euros at a formal ceremony presided over by His Majesty King Felipe VI at the Campoamor Theater in Oviedo (Spain) on October 21, 2017. The Awards Ceremony is considered one of the most important cultural events on the international calendar. Throughout their history, the Awards have received recognition from a variety of sources, such as the UNESCO declaration in 2004 acknowledging their extraordinary contribution to the cultural heritage of humanity. 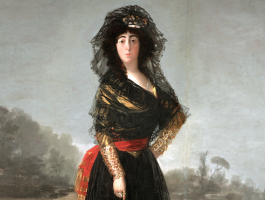 Since its founding in 1904 by the American scholar and philanthropist, Archer Milton Huntington (1870-1955), the Hispanic Society has promoted the study of the rich artistic and cultural tradition of Spain and its area of influence in the Americas and throughout the world. 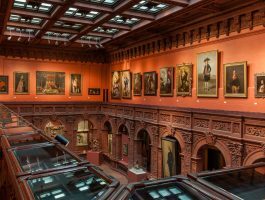 The collections of the Hispanic Society are unparalleled in their scope and quality outside of Spain, addressing nearly every aspect of culture in Spain, Portugal, Latin America, and the Philippines from antiquity through the early twentieth century. 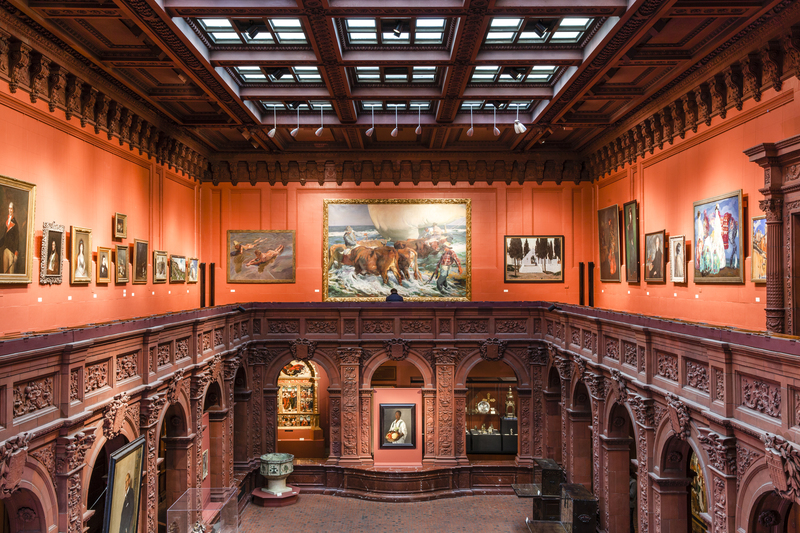 Today, the Hispanic Society stands apart as the most significant collection of Hispanic art and culture in the United States, and contributions made by Hispanic Society curators have had a profound impact on the field of Hispanic art and culture since the founding of the institution. In January of 2017, the Society closed the doors to the museum for renovation until the fall of 2019. During this time, the library will remain open by appointment. 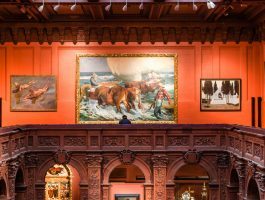 Public and educational programming continue to run outside the doors, allowing the Hispanic Society the opportunity to deepen its relationships with local schools and cultural organizations. 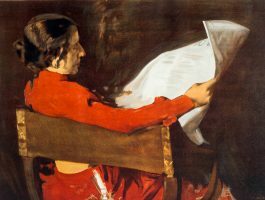 For further information call 212.926.2234 or visit the Hispanic Society’s website at www.hispanicsociety.org and follow the museum on www.facebook.com/hispanicsociety, www.twitter.com/HSAmuseum, and www.instagram.com/hispanic_society.